~Psalm 119:9 BETH. 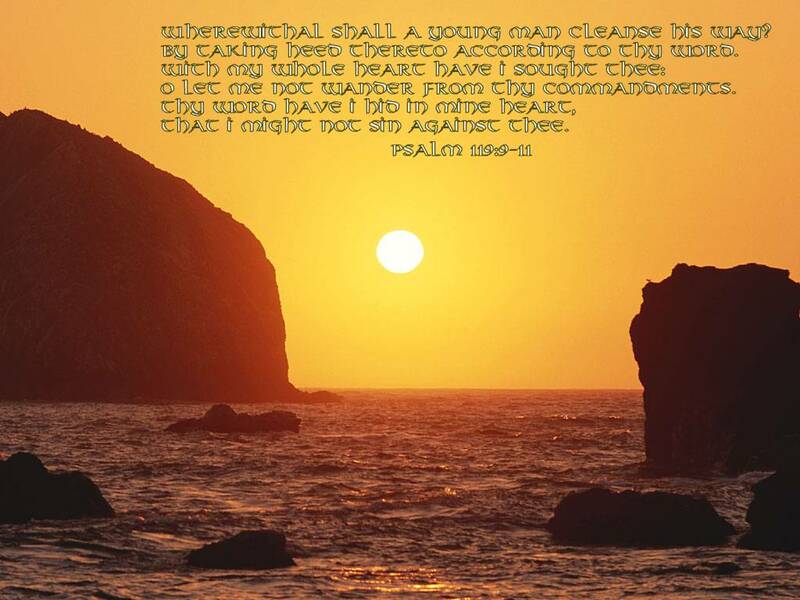 Wherewithal shall a young man cleanse his way? by taking heed thereto according to thy word. I’ve seen older Christians who have remained “spiritual babes” because they have not spent time in the Word reading, studying, and growing. Are you an older Christian, teen girl? Have you been saved since you were younger? Have you grown spiritually? Taking time in the Word is work but a blessing follows. Some teen girls have a part-time job. At the end of the week, you receive a check, right? At the end of your hard work of reading and studying, you also receive a check – a “spiritual check.” However, your check lasts for eternity! 🙂 Paul taught on the subject of spiritual babes. ~1 Corinthians 3:1-2 And I, brethren, could not speak unto you as unto spiritual, but as unto carnal, even as unto babes in Christ. I have fed you with milk, and not with meat: for hitherto ye were not able to bear it, neither yet now are ye able. Paul said that the spiritual babes are carnal – that means this person is a spiritual baby who only wants to please herself. A baby cries when it’s hungry – when it’s diaper needs changing, etc. Everything must be done for that baby or she won’t take care of herself! Not once does she consider that Mommy is really tired and could sleep an extra hour if she would just hold off! Isn’t that a great comparison? This spiritual baby is still more concerned about the things of her flesh than the spiritual things in life. Paul used the right choice of words here, didn’t he? The more you grow in the Lord and by His Word, teen girl, the more you will become a spiritual adult, even if you are in your teens! I’ve met many a teen girl who was a lot more spiritually mature than many adults I know! You no longer have the same struggles you did as a younger believer. You’ve learned to trust more in the Lord; you’ve learned that you can never lose your salvation and you’re sure of it and can prove it from the Word; you’ve learned that God is faithful and won’t abandon you; you’ve received this peace that young Christians and spiritually immature Christians can’t understand. Just reading your Bible is not sufficient – just as if you only ate pizza isn’t good for your body. You have to listen to the Bible’s warnings, as the Psalm continues to point out. What’s the use in reading a self-help book if you don’t apply what you’ve learned, right? Applying God’s Word to your life is the key to maturing as a believer. I know I sound like a broken record, but God stresses over and over in His Word that we all need to be IN the Word and applying it to our lives! Without it, you will die spiritually. That baby would die without her Mommy feeding her, right? So will the babe in Christ stunt her growth in Christ by not opening her Bible and gleaning from its spiritual nourishment.